A drawing I did for a campaign against harassment of women that a youth group I am a part of is doing. “A picture is worth a thousand words.” Inspired by this saying, I did this drawing. This drawing is dedicated to all women around the world. Let’s all revolt against the our societies’ degrading views of us. Let’s revolt against our societies’ conventions that restrict us and stand in the way of our creativity and effectiveness. The girl in the drawing is me and you. I refuse to be seen as merely a body. I refuse to be harassed. I am not a doll. Beyond this body, there is a human. Women are humans, just like men. We have equal rights. No one is superior to another. No one should violate our rights to live the lives we want, not the lives our societies impose on us. We deserve respect. Respect our humanity. This entry was posted on July 8, 2012 by Shahd Abusalama. 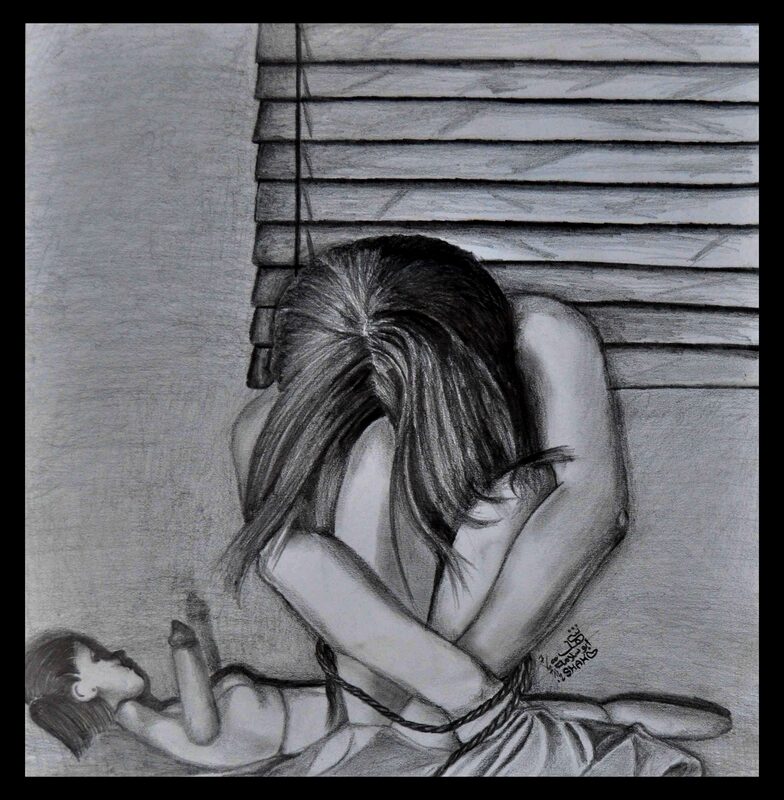 It was filed under My Drawings and was tagged with A, Art, Creative thinking, Drawing, Gaza, harassment, Palestine, woman.